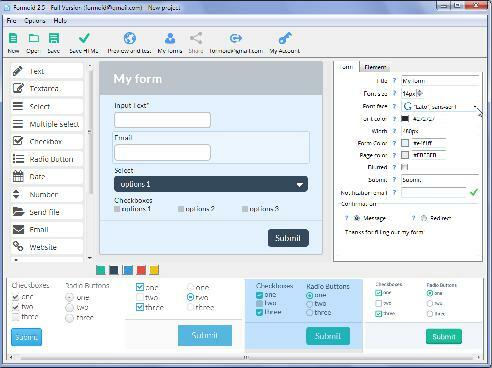 Formoid is a free desktop app that helps you easily create ajax form, html5 form validation, html contact form, contact form and more in a few seconds without writing a single line of code. Create excellent online forms in just a few clicks. Q: This looks like a great application and could be a real timesaver. A: 1. Please make sure that your server supports php. Do you mean problem with "Save" button or "Save HTML" button? * Problem with "Save" button was fixed in version 1.7.
instruction how to repeat your problem? Also, you can try to re-install Formoid.